James Paul Harding (born 15 September 1969) is a British journalist. In December 2007, he was named editor of The Times newspaper, the youngest person to become editor of The Times. following Robert Thomson's appointment as publisher of the Wall Street Journal. He left The Times in December 2012, and was succeeded by John Witherow as acting editor. Harding became the head of BBC News in August 2013. He began his career as a journalist at the Financial Times in 1994 and two years later opened the paper's Shanghai bureau where he covered the opening up of the Chinese financial markets, remaining there until 1999. After serving for three years as the Financial Times' Washington bureau chief, he joined The Times in Summer 2006 as Business Editor. His promotion to editor emerged in December 2007. Harding, the grandson of a German Jewish refugee, was its first Jewish editor. The Times, with Harding as editor, won the Newspaper of the Year Award for 2008 in March 2009 at the British Press Awards. Harding was responsible for the cancellation, and then re-introduction of the Times2 supplement in October 2010 after seven months, following complaints from readers. With a reportedly unsustainable editorial budget, voluntary and compulsory redundancies were announced in June 2010, along the introduction of charges for readers for the digital edition. At the end of the previous month, Harding had asserted that the internet could "wipe out" the newspaper without a paywall being introduced. Harding said in 2011 that he "[believes] in the state of Israel. I would have had a real problem if I had been coming to a paper with a history of being anti-Israel... We wrote an editorial called 'In defence of Israel' during the Gaza offensive, but we also reported on the use of white phosphorus, which was the Israelis breaking their own rules." He also said at this time that the BBC does not have "a pro-Israel newsroom and it has taken management to get some balance in there". Accordingly, Harding found this "frustrating because, unlike The Times where you can just choose not to buy it, you have to pay for the BBC." During his oral submission at the Leveson Inquiry on 7 February 2012, Harding apologised for the withholding of information from the High Court, without his knowledge, that Patrick Foster, then a reporter on his newspaper, in 2009 had hacked into the blogger NightJack's email account in order to identify him. Richard Horton, then a Lancashire detective constable, the author, had used Nightjack as a pseudonym for his blog on policing matters. He asserted that Alastair Brett, then legal manager at The Times, had kept knowledge about the hacking from him when the newspaper had successfully appealed against an injunction application in the High Court preventing publication and preserving Horton's privacy. Apologising also to Horton and Mr Justice Eady, who had sat at the hearing, Harding said that he only learned of the newspaper's action after the court hearing in June 2009 had taken place. Post-Leveson, Harding took on the role of negotiating with Oliver Letwin, who as Minister of State at the Cabinet Office was the Prime Minister David Cameron's representative, with the proposal of a new supervisory model for press regulation backed by a Royal charter. In an article for The Times published on 27 November 2012, he advocated a system of independent regulation, in place of the discredited system of self-regulation, and rejected statutory regulation of the press: "We must [reform] in a way that keeps Parliament and the press apart." Harding also wrote: "The failure of News International to get to grips with what had happened at one of its newspapers suggested that the company had succumbed to that most dangerous delusion of the powerful, namely that it could play by its own set of rules." Coming from this corporate source, Roy Greenslade thought Harding's suggestion was a "significant innovation". Harding left The Times at the end of 2012 after it had become apparent that he no longer had the support of Rupert Murdoch, or the board. It was reported in The Daily Telegraph that Murdoch had objected to the way The Times had covered the News International phone-hacking scandal at the News of the World, and also that Harding appeared to be an obstacle to the company's intention to merge the daily and Sunday titles into a seven day operation. His final communication to his staff, was interpreted as indicating that he had not chosen to leave his post as editor. He commented in July 2013, that if a "proprietor had a different view of things from the editor, I understand that the proprietor is not leaving". On 16 April 2013, his appointment as the new head of BBC News was announced, a post formerly held by Helen Boaden, although he did not formally take up the post until the following August. His previous role as an editor for a commercial rival to the BBC meant that The Times leader articles during his five years as the newspaper's editor were analysed. Ian Burrell of The Independent asserted thst The Times "was among the most strident" of the BBC's critics during this period. In his first speech to staff on 4 December, Harding reaffirmed that the BBC should not avoid investigative journalism after controversies of recent years. In some respects, the News part of the BBC fails to "punch our weight", he believed. A 'new impact fund' is to created to sustain journalists from different parts of the corporation (local, national and international) working together under the new head of newsgathering, Jonathan Munro. Harding said that he would announce plans, under Delivering Quality First, to make £20 million in budget cuts. Where saving will be made public in the second half of 2014. The current worldwide audience for BBC News is about 250 million and Harding aims to double it by 2022. Emily Bell, in The Guardian, thought Harding's objectives were "a little dated and underpowered" and the target of reaching 500 million people: "As [the BBC is] Britain's only global media [player], this seems an unambitiously low bar." Harding's book Alpha Dogs was published in spring 2008. Harding speaks English, French, German, Mandarin and Japanese. ^ a b c d e Stephen Glover (10 December 2007). 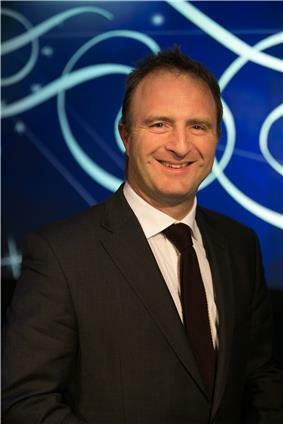 "Changing 'Times': the challenges facing new editor James Harding". The Independent. Retrieved 22 September 2011. ^ Andy McSmith (19 June 2010). "George Osborne: A silver spoon for the golden boy". The Independent. Retrieved 22 September 2011. ^ Roy Greenslade (10 December 2010). "Harding, a product of City University". The Guardian. Retrieved 22 September 2011. ^ John Plunkett (11 October 2010). "Times revives Times2 supplement". The Guardian. Retrieved 22 September 2011. ^ Newsnight '​s false claims concerning Lord McAlpine and the abandonment of the investigation into allegations made about Jimmy Savile, now generally accepted to be sustainable. ^ Robert Colvile (16 August 2008). "Review: Alpha Dogs by James Harding". The Telegraph. Retrieved 22 September 2011. ^ Leonard Doyle (19 September 2008). "Alpha dogs, by James Harding : Vote-hounds at the thin end of a social wedge". The Independent. Retrieved 22 September 2011.